Last week, it was the SuperLaggera. 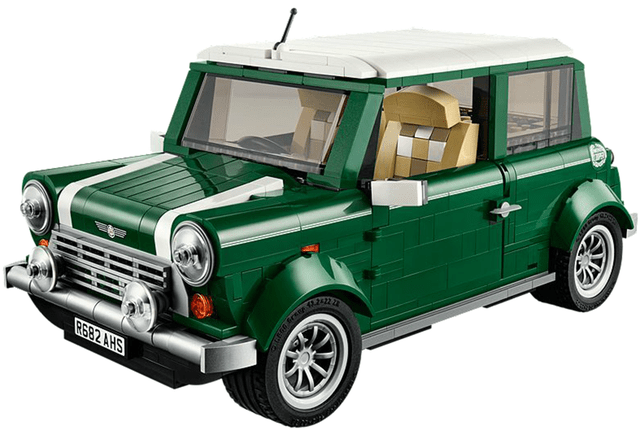 This week we are all about the 5-door, Lego and fish sandwiches. Before all of that, we do start with a little Shuttlecast since the Mac Developer Conference was last week. But after that, we get right to #mtts2014 and news from MotoringFile.com. You heard correctly, during MTTS, it will be “Mornings with White Roof Radio” all the way from San Fransisco to Boston. If you are interested in being part of the WRR Road crew, there is still an opening or two available, even if you aren’t going all the way. We would love to have you part of the team! Email us if you are interested. Finally, for those of you that have been asking to help support us, now you can!. Strongly disagree on this one. The F55 is not a good looking car. It’s very hard to like it especially when you look at what MINI designers can do (i.e. Clubman, Superleggera) and what ends up on the roads. Oh well, it will become MINI’s best seller and potentially support the release of lower volumes vehicles in the lineup (i.e. Rocketman). Can’t wait for MTTS to start!! Just so you know. There is a LEGO store at NorthPark Mall in Dallas.